在Reddit上的简单解释 by Vitalik Buterin. August 2017. 最小削减条件 by Vitalik Buterin. March 2017. 动态验证组的安全性 by Vitalik Buterin. March 2017. Slasher by Vitalik Buterin. January 2014. Weak Subjectivity by Vitalik Buterin. November 2014. On Settlement Finality by Vitalik Buterin. May 2016. 三角形的危害 by Vitalik Buterin. July 2017. Casper经济激励概述 by Karl Floersch. Sept 2017. Casper CBC CESC deck and video by Vlad Zamfir. September 2017. Casper CBC EDCON deck by Vlad Zamfir. (Video part 1, part 2) February 2017. Devcon2 CBC Casper Deck and video by Vlad Zamfir. October 2016. 更多的了解这个主题： Hudson Jameson 解释这个引用， reddit讨论板块 Vitalik & Jae Kwon, 以及 Tendermint 白皮书. Proof of Stake — a category of consensus algorithms for public blockchains that depend on a validator’s economic stake in the network. 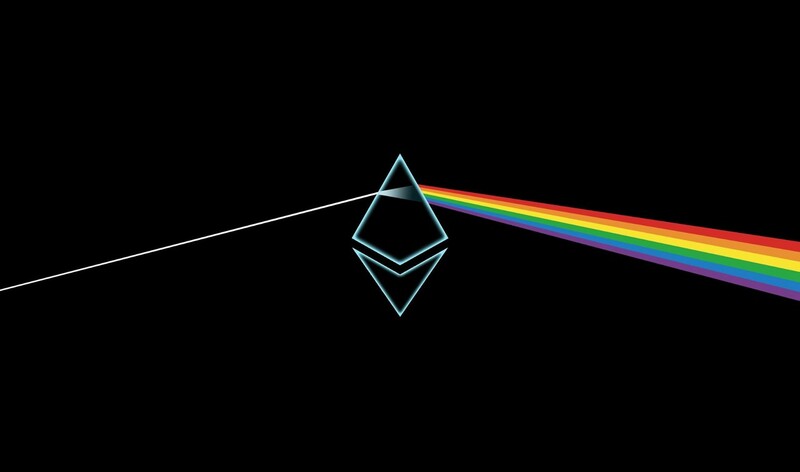 Casper — Ethereum’s proof of stake research and projects. Finality— Once an operation in a system completes, the system doesn’t allow for the operation to be reverted (Vitalik on settlement finality). Context: in proof of work, finality is probabilistic and implicit. Casper is designing mechanisms that explicitly enforce finality. Fork Choice Rule — A fork choice rule is a function, evaluated by the client, that takes as input the set of blocks and other messages that have been produced, and outputs to the client what the “canonical chain” is. Slashing Conditions — Set of rules that, if violated, penalize the validator. Sybil Attack — an attack wherein a reputation system is subverted by forging identities in peer-to-peer networks. 3 E’s of Sybil Resistance — 1. Entry Cost 2. Existence Cost 3. Exit Penalty. (coined by Dominic Williams). Nothing-at-stake problem — A proof of stake implementation challenge that refers to the inherent lack of downside for validating both chains in the case of a fork. It is a well-known problem of proof of stake that is considered solvable. For example, refer to Slasher. Long range attack — Same mechanism as 51% attack (make a longer chain that “rewrote” the ledger in the attacker’s favor), but instead of starting the attack 6 blocks back, go much further back in the chain’s history (think 60,000 blocks). DAG — “Directed Acrylic Graph. A finite directed graph with no directed cycles. (ETH Stack Exchange). Synchronicity — Refers to the timing assumptions around the messages (i.e. synchronous, partially synchronous and asynchronous). Safety — “Correctness.” Protocol-following nodes decide on the same value. Another intuitive proxy is whether two conflicting blocks can be committed. FLP Impossibility Theorem — “It’s impossible to have a live, safe and asynchronous network” (formally proven as well). Accountable Faults — Faults that can be attributed to a specific validator or specific set of validators. Byzantine Faults / Byzantine Behavior — Any fault presenting different symptoms to different observers. Non-protocol following behavior. Byzantine Failure — Loss of a system service due to Byzantine faults in a system that requires consensus. Byzantine Fault Tolerance (“BFT”) — Ability for a system to tolerate Byzantine faults. 1/3 Byzantine fault threshold in asynchronous networks. 1/2 in synchronous networks. (BFT consensus algorithms include Paxos, PBFT as well as newer Casper and Tendermint). Nakamoto Consensus — PoW-based bitcoin-style consensus building. Also, Nakamoto-style Consensus exists, which would be chain-based PoS as opposed to BFT-based PoS. Tendermint — Proof of Stake implementation that focuses on consistency. Never forks with less than 1/3 malicious actors, but downside is that the chain can stall if a chain lacks 2/3 of the validator votes. Validator — An entity that validates checkpoints/blocks of a blockchain for rewards. A miner analog in PoS. Validator Set — Set of validators for a given chain at any given time. Epoch — In FFG, it is a 50 block period where a validator can vote on the finality of its final block (i.e. checkpoint). PoW miners mine blocks and PoS validators validate checkpoints every epoch. Dynamic Validator Sets — The idea that a blockchain can have changing set of validators throughout a period. Treatment of this is a huge breakthrough in BFT-style consensus algorithms. Tendermint was first notable breakthrough. Casper is also working on this actively. Equivocation — The act of a validator sending two messages that conflict with each other (more specific definition on slide 28 of this deck). Dunkles — Mechanism that includes data from non-dominant block into the dominant block. This provides better incentive mechanisms and notably helps alleviate the nothing-at-stake problem (link). Proposal Mechanism — Mechanism by which a validator in the set will suggest a block to assess for justification or finalization. Justification —In FFG for example, 2/3 of a validator set voting on a fresh checkpoint that a checkpoint is the accurate record. This is the intermediary step for a finalized checkpoint. Finalization — In FFG for example, 2/3 of a validator set voting on a justified checkpoint that a checkpoint is the accurate record. The completion of this step gives a checkpoint finality. State Transition System — A system that maintains a given state (e.g. set of transactions or accounts) and its mutations over time (i.e. transition). Bitcoin, Ethereum, and other public blockchains can be considered state transition systems.